It is believed that the pilot - male profession. But there are girls who dream of being pilots civil and military aviation. To achieve this desire, though it is associated with certain difficulties. Girls and boys can enroll in a flight school and aviation schools. There are, however, schools where the rules state ban on admission of girls. There were cases when they sued and sought the abolition of such rules. In Russia there are female pilots in civil and even military (rare) sector of aviation. 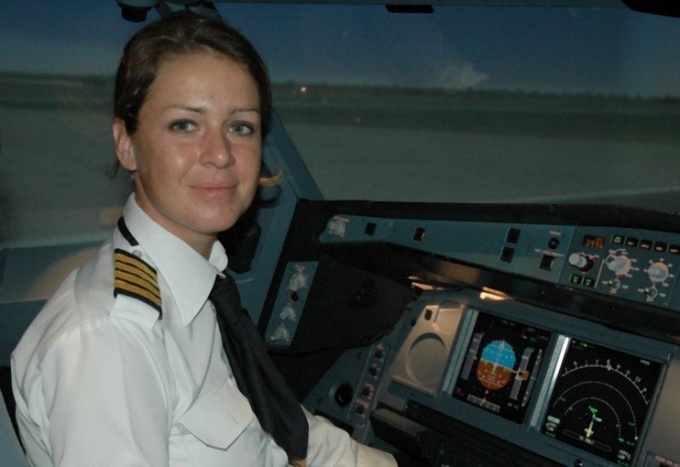 Women today can be seen at the controls of aircraft such Russian airlines, as Aeroflot, UTair, Transaero and others. Most of the women pilots in the United States, where they have better opportunities. A lot of them in the French air force. Overall, women represent about 5% of the total number of pilots. They occur in some Islamic countries. If you at a young age and my dream is to fly, the first step is to find out whether it is really your call and whether your temperament and mind of the profession. To do this is to go to Aero club of the city, where you can learn to fly and test yourself, and begin to study the theory of flight business. Training in Russian aeroclubs allows to receive the certificate of the Amateur pilot after the person hits a certain number of hours and pass the exam. If you understood that the aircraft is yours, then you should try to enroll in a school of civil or military aircraft (depending on your goals) or to the aviation UNIVERSITY. In the first case, you will have to unlearn three years, second - five. For admission you will need a certificate of complete secondary education or primary vocational, medical form 086, certificate of vaccination, certificate from narcological and psycho-neurological dispensaries, photos 3*4, as well as the successful completion of the medical examination and the vocational and psychological testing. Because the profession of a pilot assumes responsibility for not only your life but other people, he must possess self-control, attentiveness, self-control and ability to think clearly in difficult situations, ability to make quick decisions, to navigate in space, high efficiency. And, of course, he must love his job so much that it compensated for all the difficulties and hardships associated with it. Sometimes the pilot has to spend a lot of hours in the sky and experience the lack of sleep, and it should not affect the quality of control of the aircraft. The pilot must have good health, including good eyesight, physical and psychological endurance. Therefore, anyone wishing to enroll in the appropriate school must undergo a medical examination. You should be prepared for the fact that occupations traditionally associated with men, women often have to prove their professionalism with great care, than guys, even if they are really good in their chosen business. They often more attention and higher demands for existing in society prejudice. But if you firmly believe in your calling and are not afraid of difficulties, then you will surely be able to succeed. But it is not necessary to go to the pilots only from a desire to prove something to themselves or others or because of romantic notions about the profession. 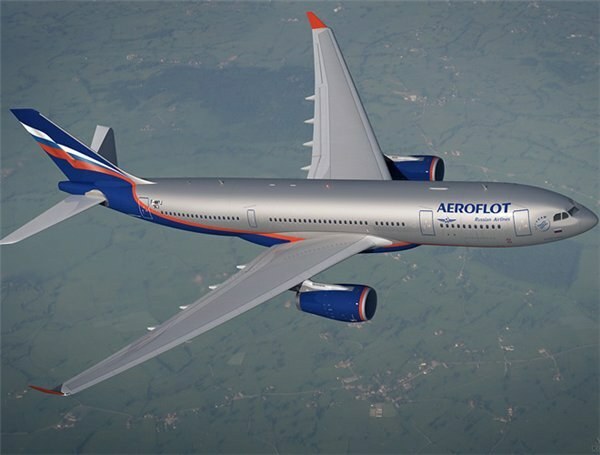 The company "Aeroflot" in 2011 opened his own flight school. The reason was the needs of the company in the flight personnel and problems in training pilots in flight schools. In school can graduates of civilian flight schools, best aviation or a technical background, military pilots. At the beginning of the course in summer school consisted of two stages. In the first phase training took place in the Ulyanovsk higher aviation school on a speciality "Flight operation of aircrafts". He studied there for 1.5 years. In the second stage of training was in the school of "Aeroflot" on a contract basis for 6 months. If you study at the College was to be free, the school for training have to pay, this company issued trust loan in the amount of study. The contract with the student provided that he finished flight school will work in the "Aeroflot" 5 years, he will deduct money from the salary to repay the loan. But this program has not gone as the airline has failed to solve the issue of budget financing from the state to pay tuition at the first stage. The average salary of a second pilot in the airline "Aeroflot" an average of 250 000 p. Therefore the pay target credit granted to study in flight school, is not difficult. Admission to flight school "Aeroflot"
The school office where you can bring resume, pass the interview and ask the questions, is the building of the Moscow state technical University of civil aviation on the street Kronshtadsky Bulvar, 20 on the 5 floor in the room 505г. School phone - +7 (495) 981 55 20 add 51 or 52, e – mail address- info@avb.ru. Aviation school of Aeroflot also carries out a set on courses of flight attendants. The training lasts about two months. Knowledge of basic English is required.